Home funny sign Industrious Hygienist I am amused by weird things. I am amused by weird things. Everybody wants a little Chin Fo. This is my neighborhood Asian restaurant, and something about the sign caused me to giggle non-stop while I was trying to order Pad Thai and Mongolian Beef for lunch today. They're used to seeing me or my husband at least every other week, so they probably just thought I was being extra friendly and smiley. But you know the truth. 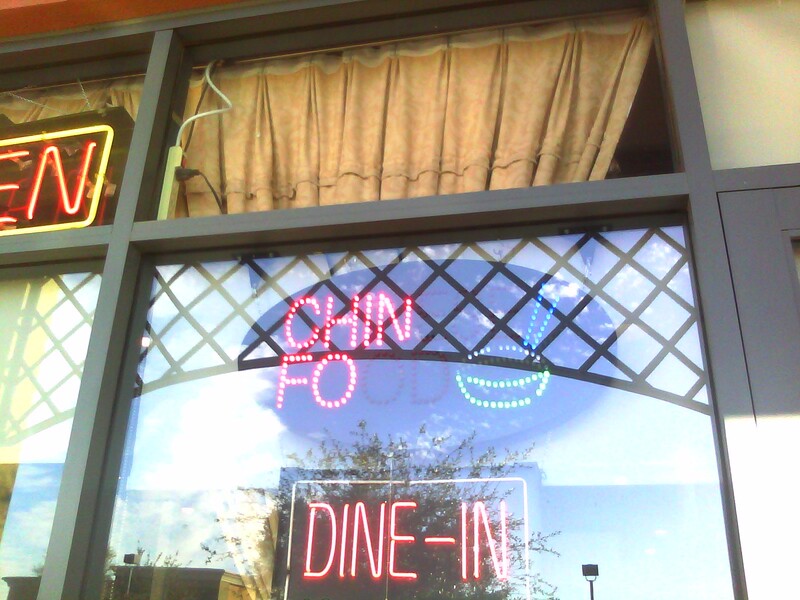 Chin Fo. I'm grinning like an idiot just writing this.